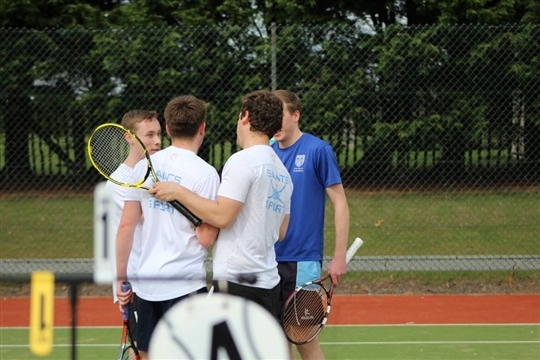 The University of St Andrews Tennis Club is one of the largest sports clubs in St Andrews and our ethos is to provide playing opportunities for all abilities. Our members are passionate about tennis and we hope we can provide an environment in which you can improve as a player or just meet new friends on court or at our famous socials!!!!! You can now leave a lasting legacy to the club by donating via the University's Giving Page. Donations will go towards enhancing our Volunteer & Outreach programme and for purchasing equipment to make tennis accessible to all. Purchase your membership for 2017/18 now!